Guys I have to say, this week has been a really frustrating one social media wise. 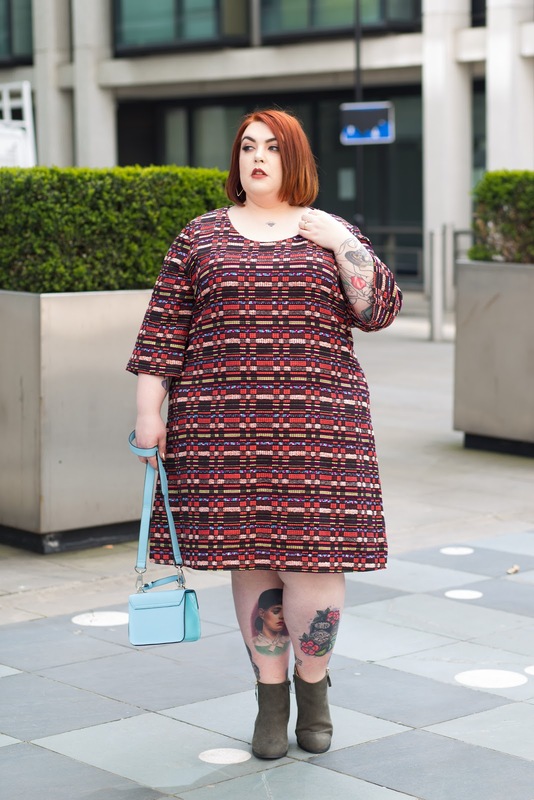 If it's not a horrific meme mocking some poor unsuspecting individual it's a celebrity making some awful comment about how great being sick is because it can make you lose weight or random people leaving hateful negative comments on a brand's Facebook page when they share an image of a blogger wearing their clothes. 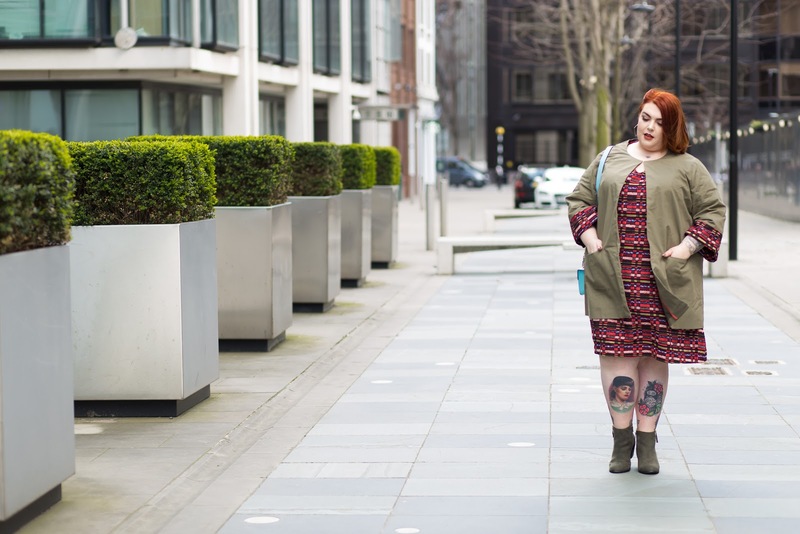 One of the most frustrating and hurtful things that I see far too often is unfortunately posts by plus size brands. 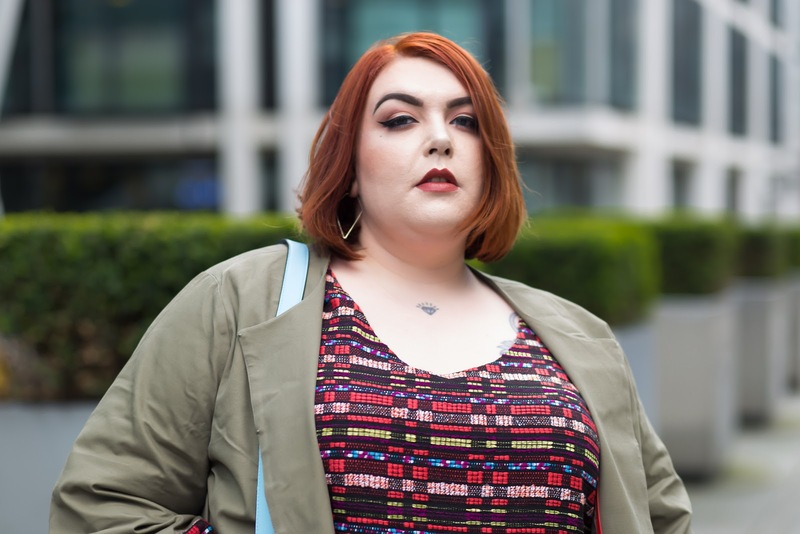 Hard to believe I know, but some of them just can't seem to help getting on the trending bandwagons like diet inspo for Summer/Christmas/New Year/any old day, 'make a movie fat' and all manner of insipid things that actually mock the people they profess to support and want to offer fashion equality to. Now I know that these things are usually posts by an individual social manager or agency, but either way it shows poor vetting and direction from the brand itself. 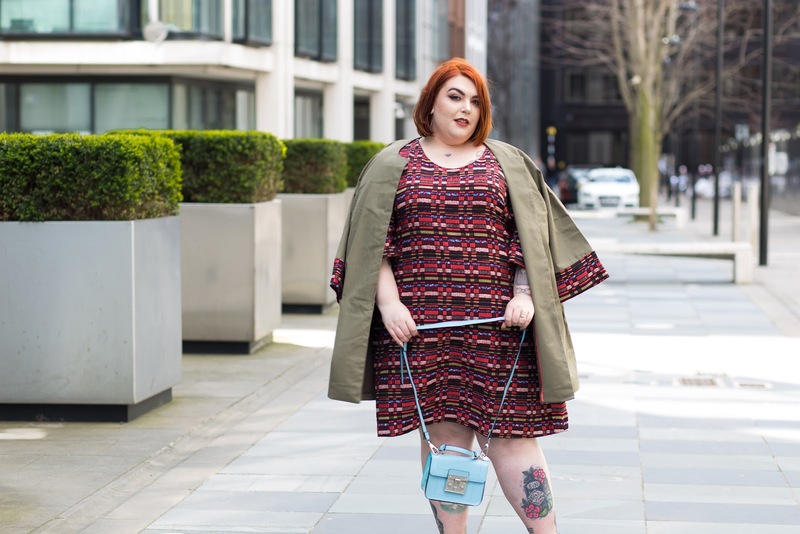 But fear not guys, when we hit social fail overload I know just where we should head - navabi! 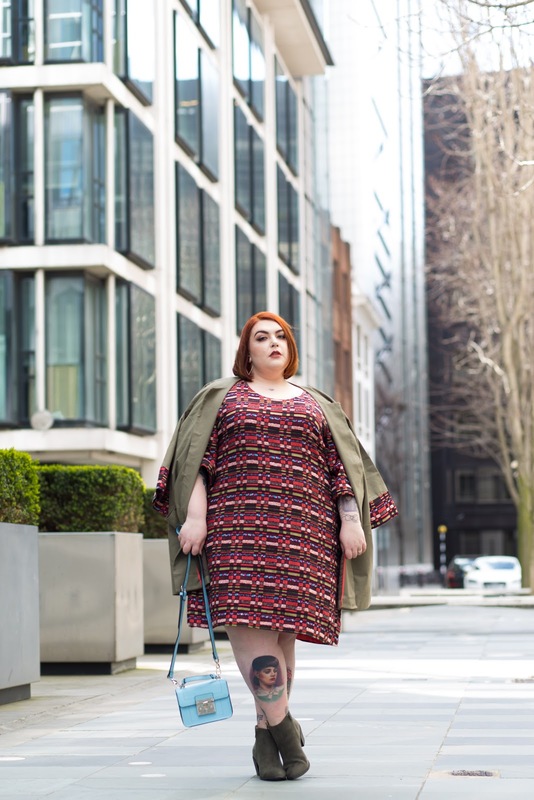 If there's one company that never fails to put out amazing campaigns, support both its customers and fat influencers whole heartedly and not be afraid to shout for what's right even if it's not the mainstream opinion it's navabi. 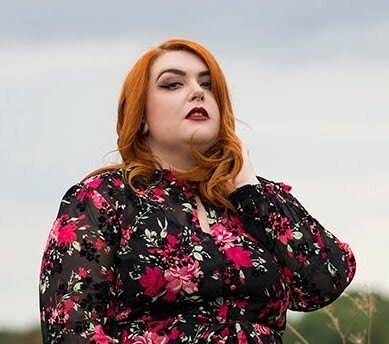 Not only that but they also offer arguably one of the very best shopping experiences to fat women with an amazing selection of brands and even their own line of gorgeous pieces. One such brand that I've raved about several times before is Manon Baptiste and this outfit is a great example of what they do - beautifully made, grown up but super cute and unusual pieces in great quality fabrics that make you feel amazing. As soon as I saw this A-Line Woven Fabric Dress (£129.99*) in its kaleidoscope of corals, blues, greens, pinks and yellows I fell in love with its Sixties vibe. This is some of the most gorgeous fabric I've ever seen, so unique and eye catching and it works just perfectly with this bell sleeved, knee length style. 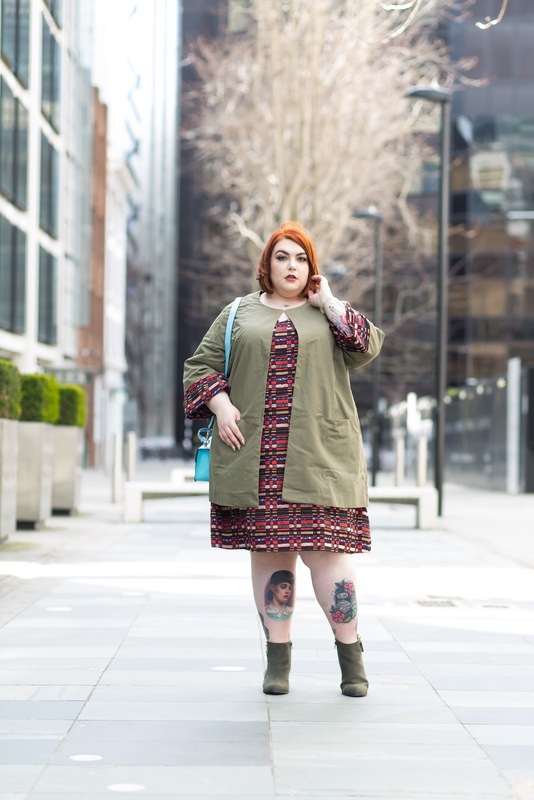 To make it even more perfect this dress just so happens to have a coordinating Short Embroidered Coat (£162.99*) in khaki with the same lovely fabric trimming the wide sleeves and I'm head over heels for the combination of the two together. Accessorising this outfit was a little harder than usual which can often be the base with busy fabrics like this. I decided to go for easily wearable shoes that coordinated with the jacket and these Sole Diva Zip Detail Ankle Boots EEE Fit (£35.00) were just ideal. The gold zip detail really catches the eye and the heel is a great height, comfortable but still stylish and the khaki green suede teamed perfectly with the jacket while also being really wearable with lots of other colours. As for a handbag I decided to go a little different and bold and so I picked out the bright blue from the main dress fabric and searched for a cute bag in roughly the same shade. It didn't take long to spot this sweet Blue Lock Front Mini Satchel Cross Body Bag from River Island (£22.00*) and it was too adorable to pass up on. It's just the right size for a phone, purse, diary and a little make up bag so is ideal for a day out in the city or going for dinner. Don't you just love a cheeky pop of colour?